Spotted on the roadside of Ululoloa, Palama Fereti was selling fish in his small roadside fish stall. Aged 32, Palama says he once worked but later found that earning a living as a fisherman is much better. “The great thing about working like this is that I work on my terms,” he told the Village Voice. According to Palama, this is his way of taking care of his family and has been doing it for three years. “This little business I have here is the only thing I have to look after my children and family,” he said. Another great thing about the fish stall is that it pays better. 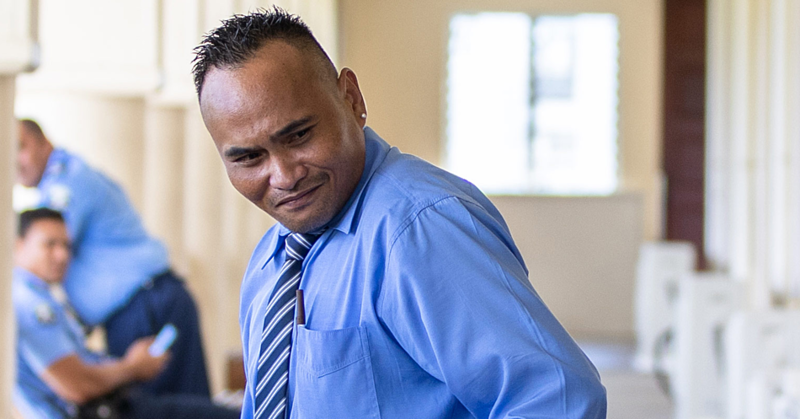 “The reason I left my job is because of the pay,” Palama said. “I would get money from my job but it’s nowhere near enough especially with all the family faalavelave we have every now and then. But no matter how hard the father works, there are still a lot of struggles he faces. 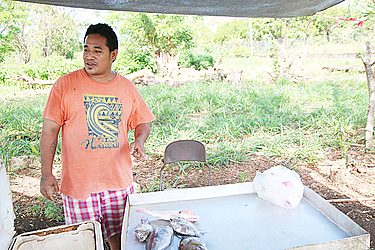 “Even with this fish stall, it’s still not easy taking care of the family,” he said. “Making enough money to take care of all the needs is no easy task. I have many children and with us living in the urban areas, if we don’t have money then we won’t have food. “We don’t have enough land living close to town for any sort of plantation that can help out the family. We are only given a piece and that’s all we have to work with. When asked what he thought was the main reason for hardship in Samoa, Palama simply replied, culture. “I have noticed that our culture is getting expensive,” he said. “Yes our culture is very important and it’s the Samoan way of life but it’s getting a little out of hand. Our leaders should start looking at ways to ease the burden on the people. “If you look at the way overseas people deal with family gatherings like funerals, they don’t excessively do things but for us, a lot of money goes towards these activities.